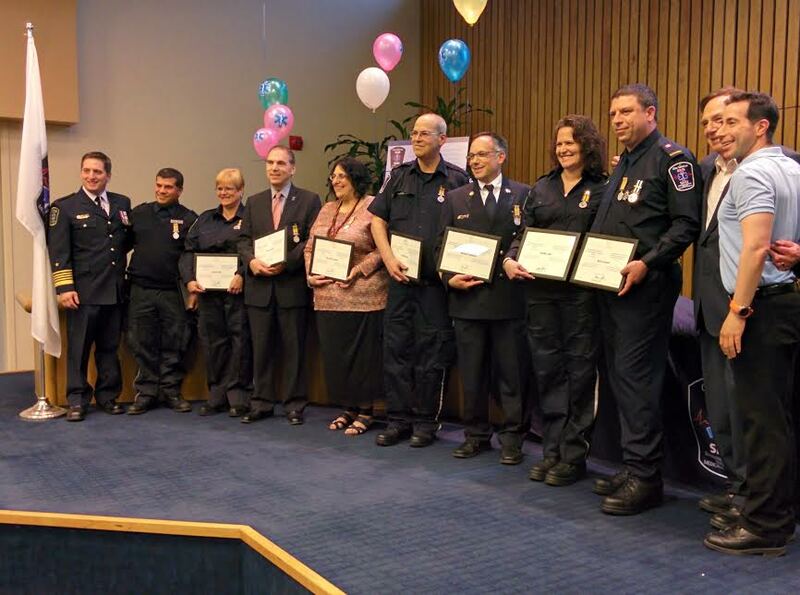 The Cote Saint-Luc Emergency Medical Services volunteers threw an impressive home-made dinner celebration for their volunteer corps along with the Public Security Agents and Emergency Dispatchers. The banquet hall at the Aquatic and Community Centre was the venue for a tasty buffet dinner, all of it cooked up by a volunteer team of amateur chefs that could have doubled for professional caterers. The Public Safety Kitchen Crew: Mark Metivier (EMS Captain of Education), Robert Rousseau (Captain of Operations), Brandon Luden (Captain of Logistics), Christiane Poirier (Lieutenant of Education), Marvin Zwikler (Lieutenant of Operations), Eddy Afram (EMS member). The Luden family stands out as unique among our Public Safety family. Erwin Luden and I go way back to the days of the CSL Emergency Measure Organization. While I volunteered all my free time (and then some) to cover first responder shifts on our Rescue-Medical-Fire vehicle, Erwin gave freely of his time patrolling the streets in a green pickup truck as part of our Auxiliary Security Patrol. Dressed in brown uniforms with yellow stripes we were well-known and appreciated by the residents back then. 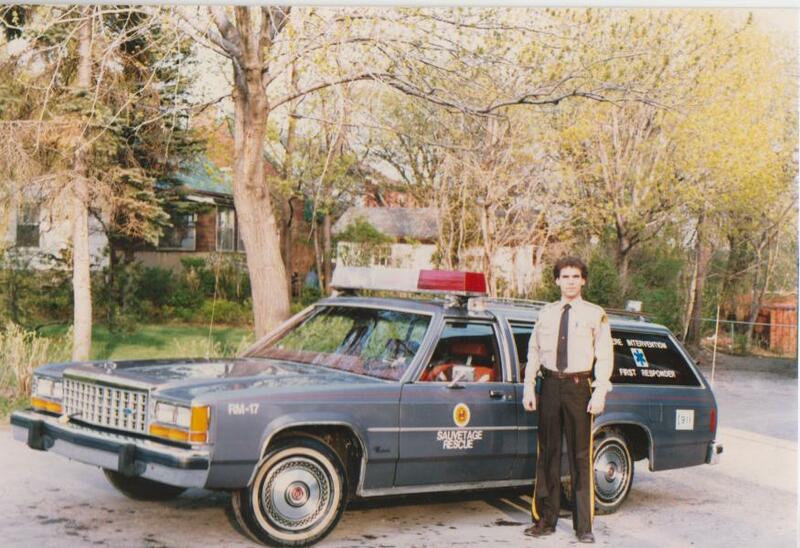 Now, fast forward 36 years and Luden is still surveying the city but now as a professional Public Security Agent with the power to enforce municipal bylaws and to issue contraventions for infractions (write tickets!). Meanwhile, his two sons, Brandon and Jordan, are active volunteers at CSL EMS. Brandon has been around for several years holding officer positions. I’m sure Jordan will follow suit in this noble cause. Cllr. Glenn J. Nashen with the Luden Men: Proud Public Security Agent Erwin Luden and EMS sons Brandon and Jordan. And, not to be outdone by her brothers, Gillian Luden has been serving in the IDF for the past year. Hopefully she’ll be back one day and choose between joining CSL Public Security or EMS! Clearly, Bernice, the Luden mom, has done some very good work in raising these kids (with Erwin doing the enforcement I’m sure!). 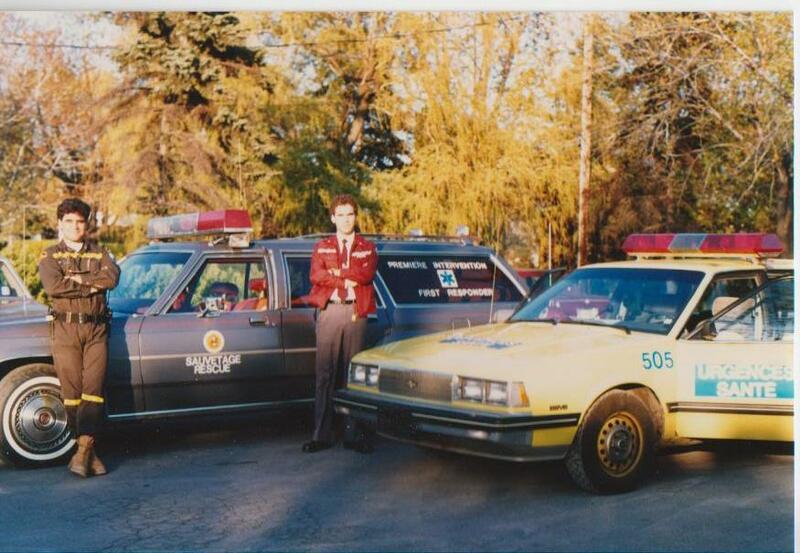 EMS volunteer Sheldon Goldberg will soon celebrate his 29th anniversary of service. Pictured here with longtime medic and friend Hershey Shaffer. Sheldon Goldberg is no ordinary volunteer. 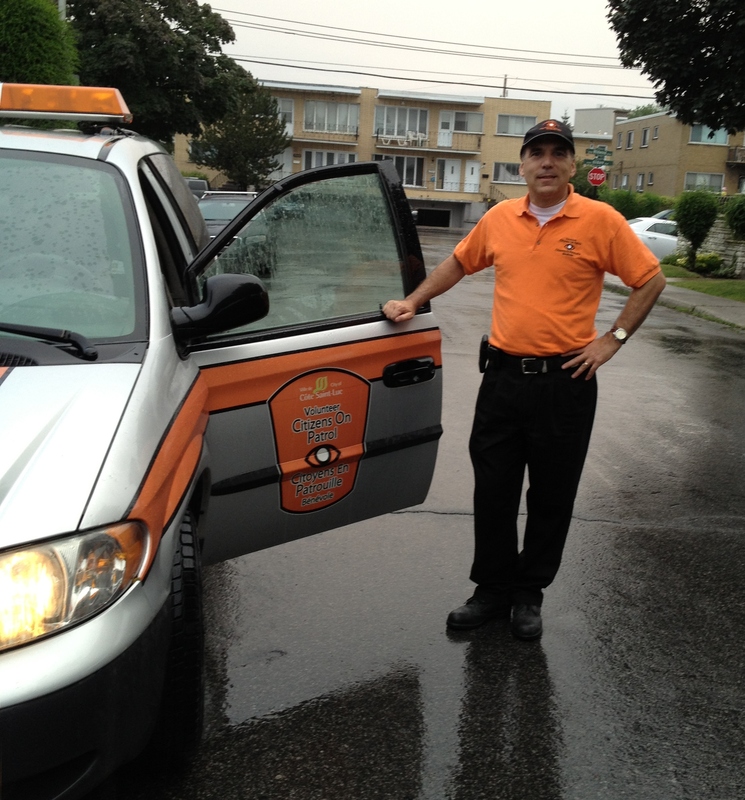 Despite a family business to run, children to watch over and leadership responsibilities at Montreal’s Hatzolah rescue squad, Sheldon has been donning his CSL EMS uniform every week for an incredible 29 years. way to go Shloime! Biz a hundred und tzvantzik! Yvan Martinbault is a bailiff by day and a long serving CSL EMS medic by night. 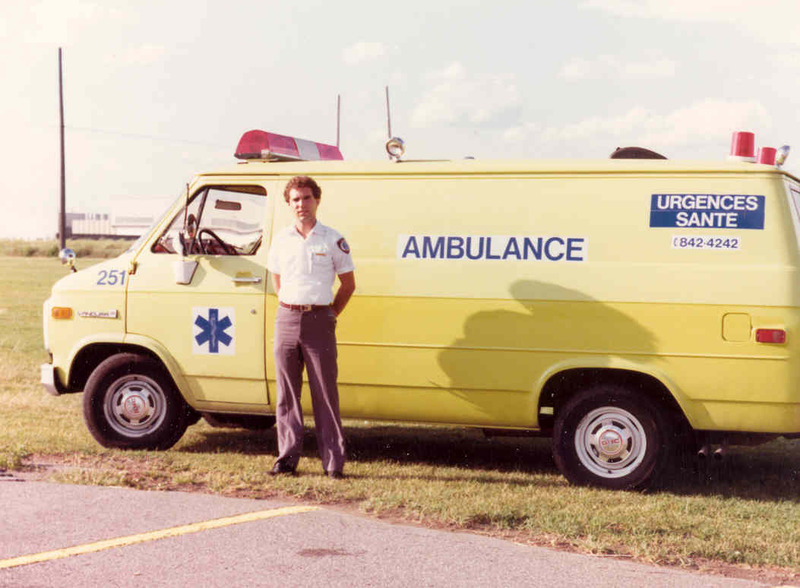 I worked for over a year with Yvan covering EMS shifts about eight years ago. He is a polished, skilled and calm medic who is dedicated to his pastime and to our residents. 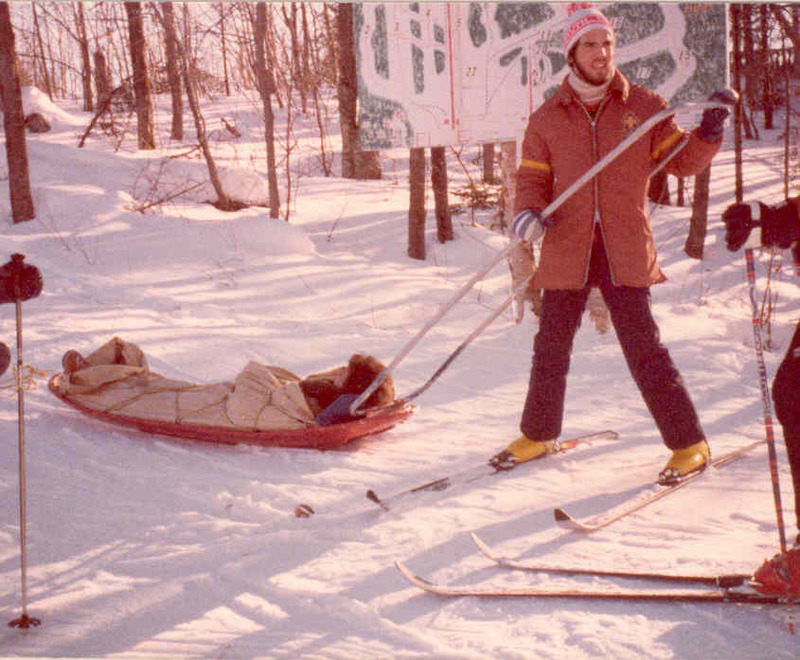 In his free time, Yvan has served on the Canadian Ski Patrol (my alma mater, where I served for five years as Assistant Patrol leader in Laurentian Division at Mont Alta). For the past many years Yvan has served on the local patrols at La Reserve and Mont-Graceau in St. Donat. Bravo Yvan. These are just a few profiles of an otherwise great group of man and woman, each with an equally interesting story. I congratulate them all. Cllr. 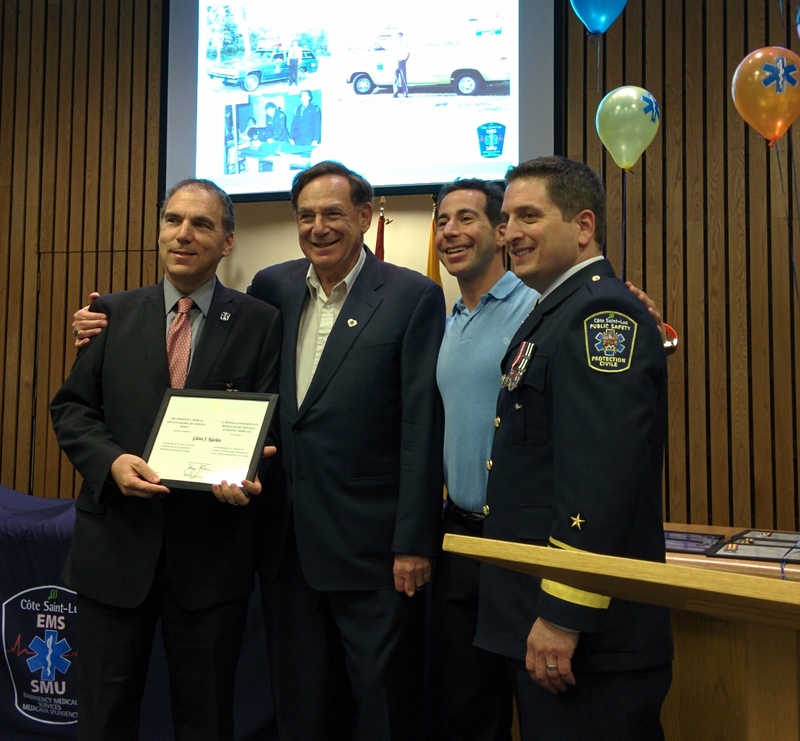 Sam Goldbloom is responsible for EMS and Public Security along with Director Jordy Reichson and Chief Philippe Chateauvert. Mayor Mitchell Brownstein addressed the party-goers and said that we are all here as a large family, taking care of one another and supporting each other. “We cannot change the past, we cannot predict the future, but we can enjoy this moment, together, like one big family,” Brownstein said. Cllr. 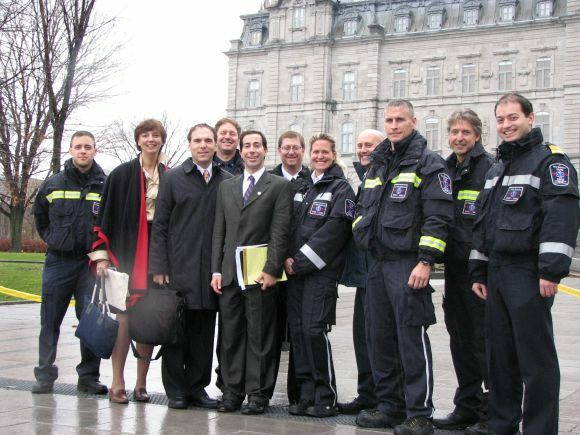 Sam Goldbloom currently handles the Public Safety dossier on council overseeing EMS, Public Security and Emergency Communications, a position I have held almost uninterrupted (save for a brief Montreal merger) since 1990. I continue to oversee volunteer Citizens on Patrol and Emergency Preparedness. Cllr. Ruth Kovac has been involved in this area as well throughout the years. Sam and I work closely with the dynamic duo of Public Safety Director Jordy Reichson and Chief Philippe Chateauvert. Jordy and Philippe oversee 150 volunteers and a professional staff of about 20. At this time of year it is a good opportunity to say thank you to all of these fine folk for doing their part in keeping Cote Saint-Lucers safe and secure. They’re patrolling our streets, watching over our property, helping us when needed most and ensuring that we continue to live in the best city around. Merry Christmas, Happy Chanukah and Happy New Year to each of you. Un gros merci! A ruptured natural gas line disrupted a normal, quiet afternoon in Cote Saint-Luc today. Just before 5:00 P.M. calls started coming in from residents in the area of Parkhaven and Kildare about the smell of gas. I was passing the intersection of Cavendish and Kildare at 5:00 P.M. and noticed the distinct rotten-egg sulfuric smell. Emergency services were called and began arriving moments later. Cote Saint-Luc Public Safety Director was one of the first on scene and quickly dispatched his Public Security agents to close off the area and evacuate residents within close proximity to the construction site at Kildare and Parkhaven. CSL volunteer Citizens on Patrol was also activated and several teams quickly responded to assist in securing a perimeter to safeguard the immediate sector for several responding Montreal Fire Department vehicles. Police services also responded along with an Urgences Santé supervisor and CSL Emergency Medical Services. Within a short while Gaz Met crews also showed up on scene to assess the situation. Hydro Quebec emergency crews showed up and began cutting power to the immediate area and as far west as Blossom Ave.
By 6:30 P.M. I saw some fire crews leaving the area. By 7:30 P.M. some power was returning to the outer perimeter. At 9:30 P.M. Gaz Met capped the leak and the fire department has begun house to house inspections. Once complete the road will be reopened and Hydro Quebec crews will be able to restore power. As of 10:20 P.M. all power and water are reported to have been restored. CSL personnel and senior management were on scene coordinating local services and assessing damage. Mayor Mitchell Brownstein was in constant contact with staff. City Manager Nadia Di Furia and Assistant Manager Jonathan Shecter remain on scene as of this posting to coordinate with Reichson. Joining them are Urban Development Director Charles Senekal and Manager Mohammed Ali. These two engineers know every inch of the city and are extremely helpful in this situation in organizing the response for underground services such as water supply. As work crews will begin digging up the road this evening, Senekal and Ali will work with water engineering company Sima, to minimize any disruption. While some local streets may have their water cut, PS and vCOP will begin distribution of bottled water, as per our emergency procedures. “We have a fantastic team and I am proud to be standing here with them,” City Manager Di Furia stated. Councillor Sidney Benizri, who lives a few houses away from the scene provided the pictures in this blog post.”It looks like tonight we need to be patient. All the teams are at work here and they’ve handled the situation very professionally,” said Benizri, who is still without power as of this posting. Councillor Dida Berku reported that the Cavendish Mall food court was packed due to the power outage. Many thanks to Director Reichson, Public Security agents, senior management, and all emergency personnel from Montreal, Gaz Met and Hydro Quebec for quickly bringing the situation under control and keeping our residents safe. As Cote Saint-Lucers we are truly fortunate to have a dedicated staff and a city council so committed to our residents. Each city councillor gets involved side by side with our members of staff to ensure our residents are safe and sound. Tonight was no exception as mayor and councillors immediately began emailing, texting and calling to check on the situation and to receive frequent updates. A speed trailer (pictured above) is shared between the municipalities of Cote Saint-Luc, Hampstead and Montreal West. This summer it has been deployed in several locations in CSL, including Cavendish northbound, coming out of the underpass, and southbound at Merton. The speed limit sign at the top of the trailer is changeable according to our local streets: 30, 40 and 50 km/h. The trailer will be situated at different locations throughout the city for a week at each time. Local police station PDQ9 may send out an officer to issue tickets in these, or any other location, so you are advised to slow down. CSL Public Safety Director Jordy Reichson, responsible for this valuable traffic calming device when on our territory is very responsive to complaints by residents. While speed is a police matter, our Public Safety team will be out there as additional eyes and ears and advise police of trouble spots on our territory. Drive safely. Slow down. And watch out for pedestrians. 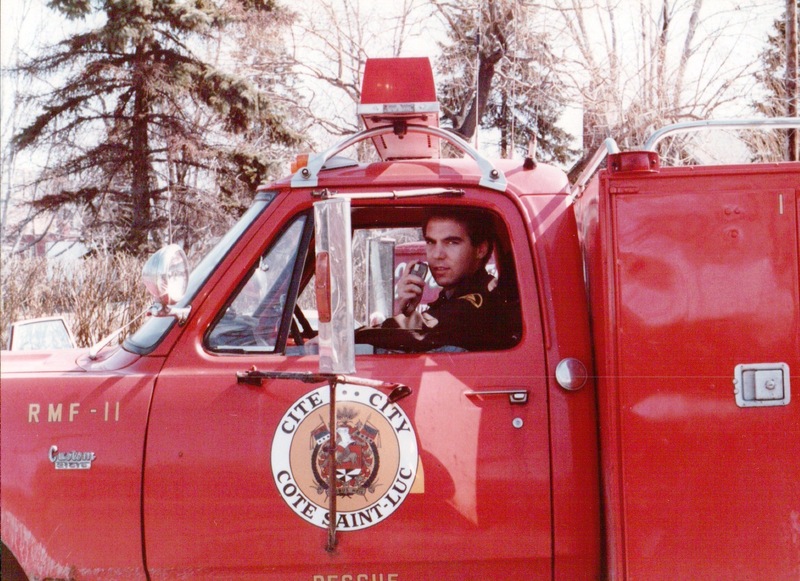 Cote Saint-Luc is renowned as a municipality that has been a leader for decades in Emergency Preparedness and Public Safety. Our EMS, which started in the early 1960s as a civil protection organization known as EMO is more than 50 years old. I joined EMO some 35 years ago followed by Ruth Kovac a few years later. The two of us have been partners in promoting disaster planning and safety ever since. 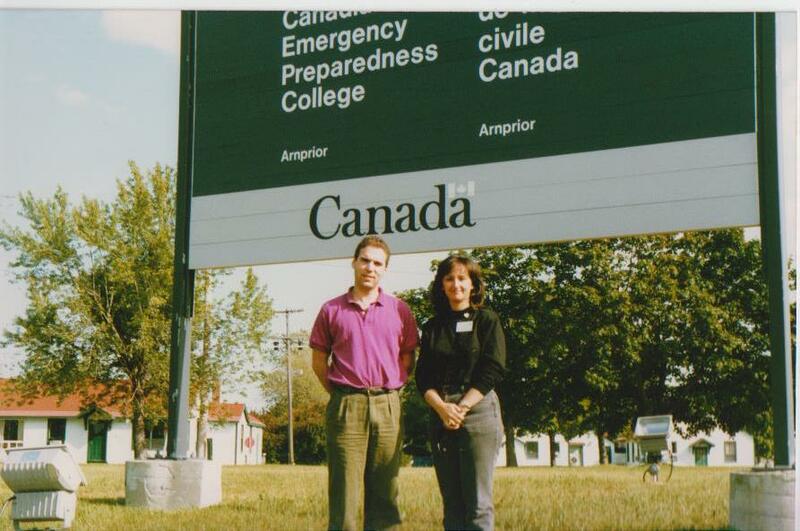 We attended the Emergency Preparedness College of Canada in the early 1990s (along with the late Vera Danyluk, former mayor of TMR and chair of the MUC) and many disaster conferences and training sessions since. 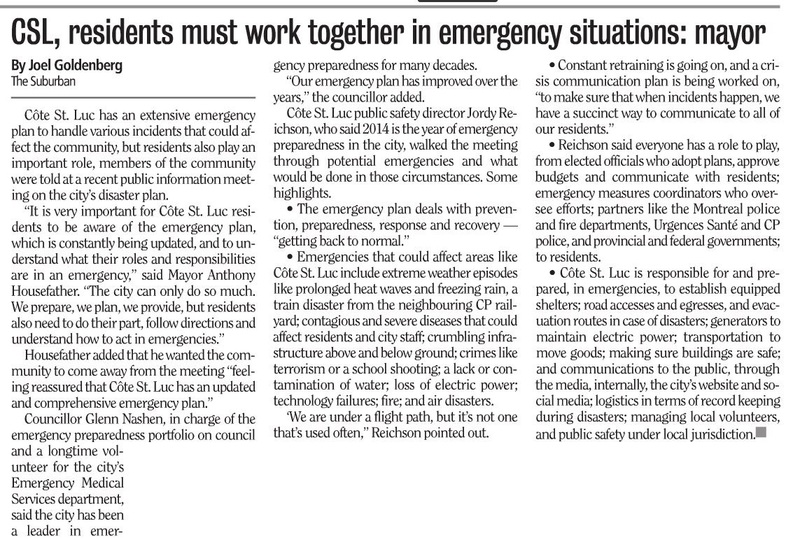 I have headed up the city’s Emergency Preparedness committee for many years. Our goal is to to plan, to review, to practice and to be prepared! But no training is as good as real live practice and we have had our fair share in Cote Saint-Luc. From floods and ice storms to dangerous heat waves we have managed local disaster to mitigate risk and inconvenience to our residents and bring situations back to normal as quickly as possible. Ruth and I have personally worked through these disasters and we’ve headed up teams of incredible volunteers and professional, skilled staff. Our point person on this dossier is Jordy Reichson. Jordy has spent a significant part of his life honing his skills in disaster management. We have volunteered together and for many years and he has served as the city’s director of public safety, a department encompassing EMS, vCOP, Public Security, emergency communications and Emergency Preparedness as well as relations with all other emergency services. 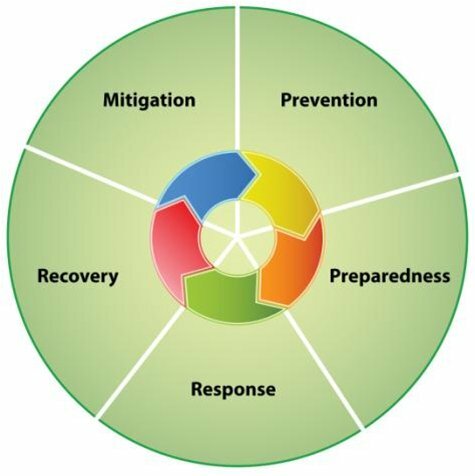 Jordy presented an overview of our Emergency Preparedness Plan earlier this week in a public meeting, highlighting some of its changes and improvements over the years, explaining the city’s readiness to deal with disaster. The full presentation can be viewed below. 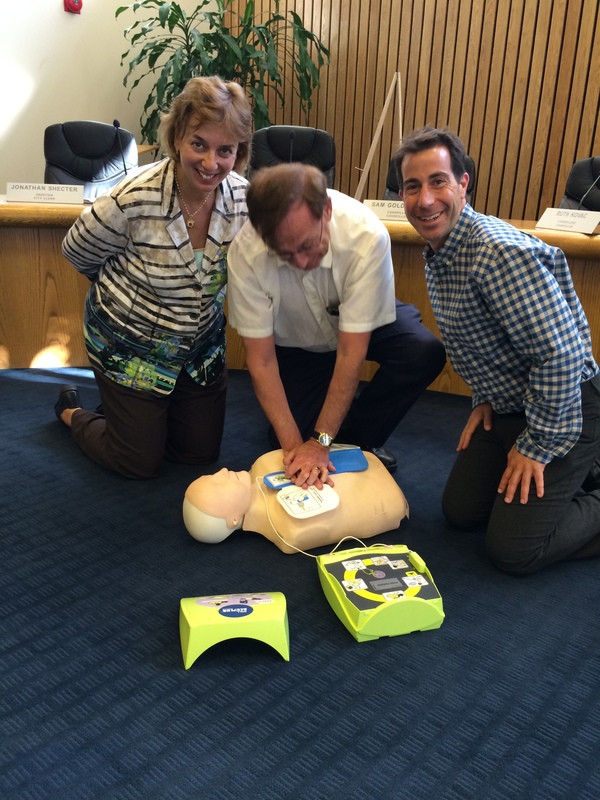 A new program for teaching cardiopulmonary resuscitation (CPR) called the Hero in thirty Program is a simplified version of the traditional courses teaching CPR techniques that help save lives. It aims to facilitate learning and how to react quickly in an emergency situation. During the course, individuals will learn how to recognize signs of complete obstruction of the respiratory tract and cardiac arrest and prepare them to act quickly until help arrives. The Hero in thirty program represents a life-saving initiative that is accessible and affordable to all. 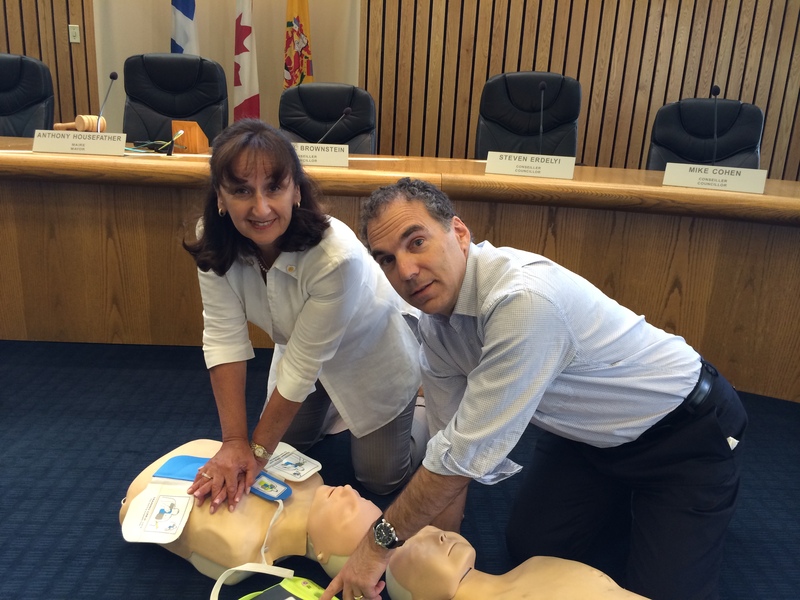 Don’t forget: a cardiac arrest or a choking incident can happen at any time. You could save a loved one or a friend. Are you ready to react and become a hero for life? 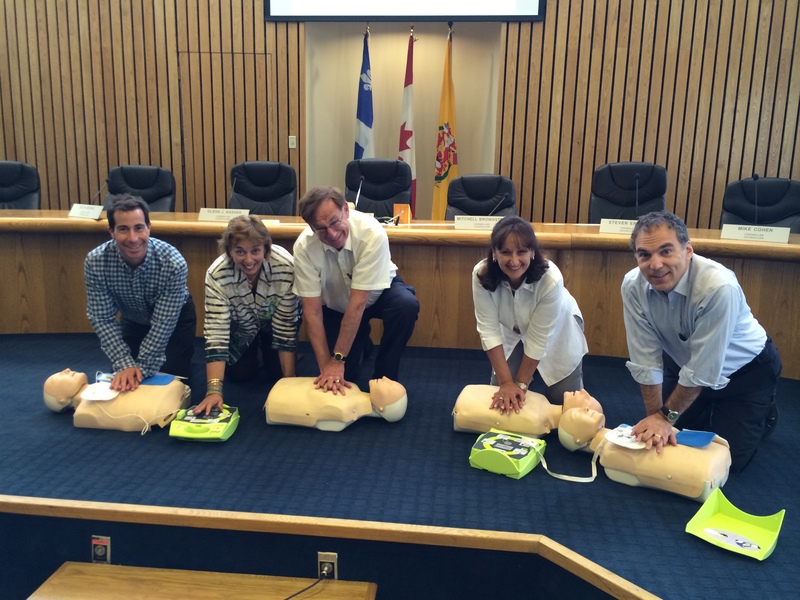 Regular CPR training is offered right here in Cote Saint-Luc at the Recreation department. Call 514-485-6800 or visit online. Hero in Thirty classes, organized by Jordy Reichson, CSL Public Safety Director, will be offered in large group settings in the city. Look for the next one at a city event this summer.